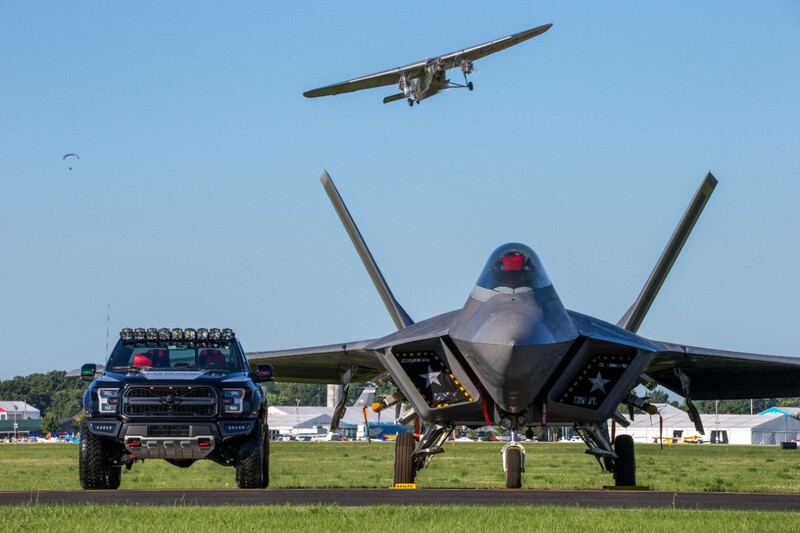 Combining the best attributes of the world’s finest high-performance machines for air and ground, Ford’s design team created a Ford F-22 F-150 Raptor based on the U.S. Air Force’s Lockheed Martin F-22 Raptor fighter jet for auction at AirVenture Oshkosh. The one-of-a-kind truck fetched $300,000 for the Experimental Aircraft Association Gathering of Eagles – an organization and an event committed to aviation and encouraging youth involvement in flight. 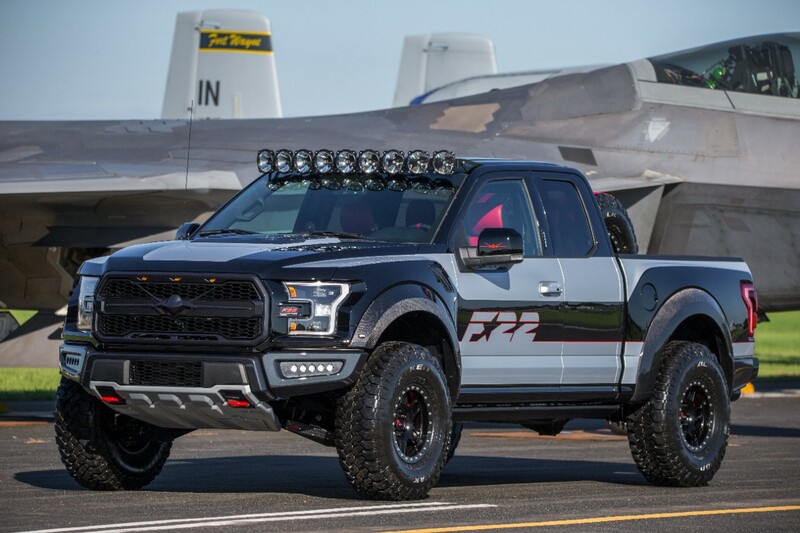 Ford has raised more than $3 million for the annual event since 2008 by creating collector’s edition vehicles, with F-22 F-150 Raptor the premier offering at this year’s live gala July 28. Ford served as exclusive automotive sponsor of the 2017 AirVenture Oshkosh fly-in at Wittman Regional Airport in Oshkosh, Wisconsin. The F-22 F-150 Raptor was purchased by Gary Ackerman of Gaudin Ford in Las Vegas, Nevada. The vehicle has found the perfect home in that Ackerman serves as Honorary Commander/Ambassador for the United States Airforce’s F-22 Squadron at Nellis Airforce Base in Nevada. F-150 Raptor is the ultimate high-performance off-road truck – the toughest, smartest, most capable Raptor ever. Delivering 450 horsepower and 510 lb.-ft. of torque, Raptor’s exclusive Terrain Management System™ gives it superior agility. Nicole Rush, Ford designer, and the Ford design fabrication team headed up interior enhancements. With the loftiest of expectations for unrivaled care and precision, building the F-22 F-150 Raptor was entrusted to Brad and Doug DeBerti at internationally renowned DeBerti Design. Betancourt says Ford could not have asked for a more purposeful execution of its vision than what the DeBerti team accomplished. Todd Eckert, Ford truck group marketing manager, said the F-22 F-150 Raptor celebrates the fighter jet’s dominance of the skies and the consistent leadership of F-Series on the ground. “Our long-standing commitment to Young Eagles encourages new talent to enter the world of flight, while highlighting the freedom, power, speed and agility shared by the Ford F-150 Raptor and the F-22 Raptor fighter jet,” he added.